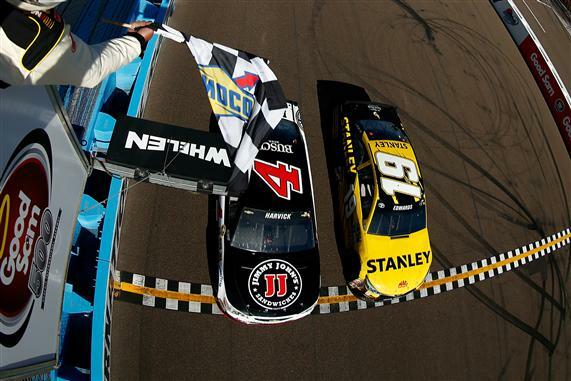 A number of interesting numbers highlight the first five races of the 2016 NASCAR Sprint Cup Series season, capped by the 51 green flag passes for the lead at Auto Club Speedway, a high at the two-mile track since the inception of loop data in 2005. It marked the second time in the first five races this season a track record for green flag passes for the lead was set (Atlanta, 44 green flag passes for the lead). Additionally, the seventh-closest margin of victory since the implementation of electronic timing and scoring 1993 (.010 seconds) has been recorded twice in the first five races – at Daytona and Phoenix. Through the first five races, the average margin of victory is 0.367 seconds – the closest through five races since the inception of electronic timing and scoring in 1993. 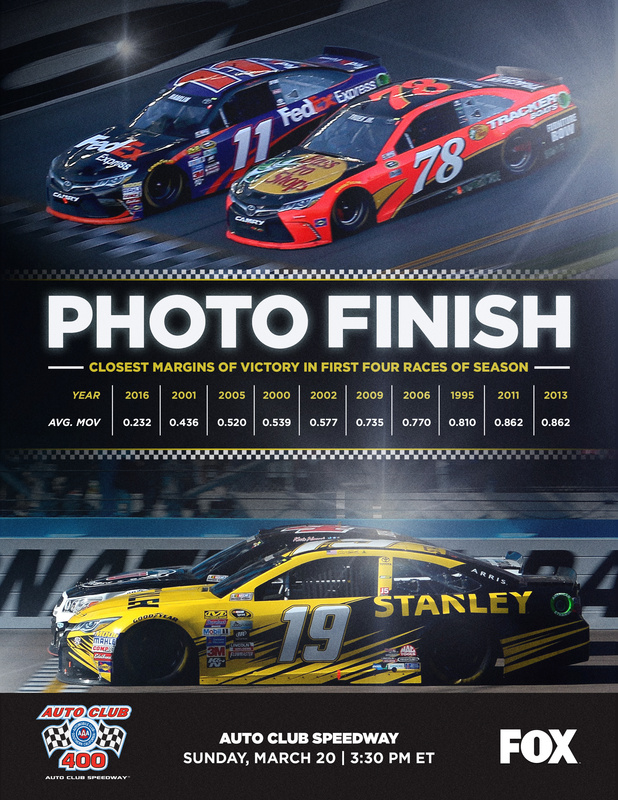 The NSCS has also showcased parity through the first five races. Four different drivers, four separate organizations and all three manufacturers have won a race.